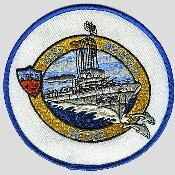 01 July 1943: Keel laid at the Brown Shipbuilding Co., Houston, Tex. 67k Ens. 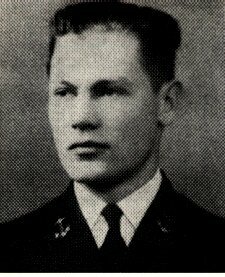 Howard Deel Merrill, born 16 December 1917 at Provo, Utah, was appointed midshipman at the Naval Academy 25 June 1936. 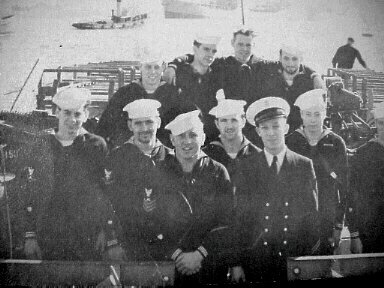 Commissioned ensign 06 June 1940, he reported for duty in USS Arizona on 02 July. 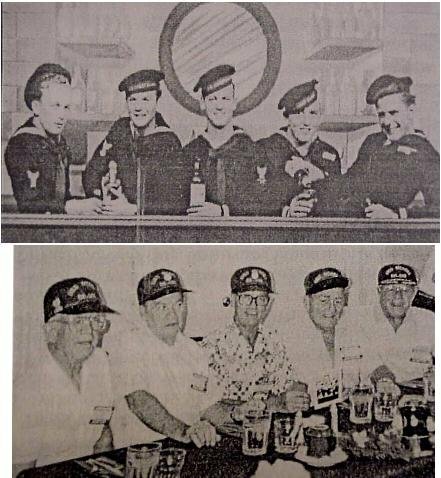 He was declared dead as of 07 December 1941, as a result of the Japanese attack on Pearl Harbor. 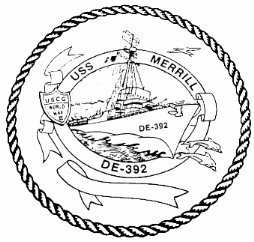 USS Merrill (DE 392) (1943-1946) was the first ship to be named in his honor. 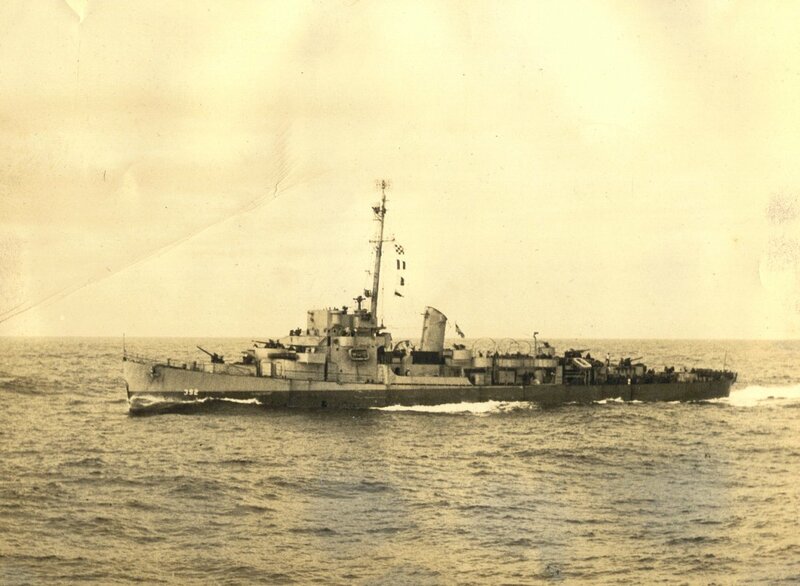 43k The ship's sponsor Miss Dorothy E. Merrill, Ens. 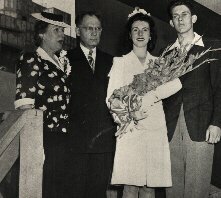 Merrill's sister, and other family members at the ship's christening. 44k Lcdr. 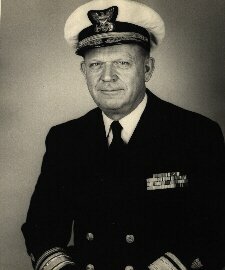 Irvin J. Stephens USCG, Merrill's first Commanding Officer. 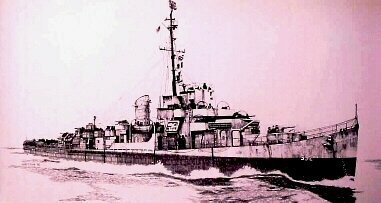 43k Merrill was crewed entirely by Coast Guardsmen. 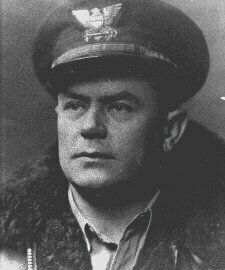 Richard's uncle, Lt. Cmdr. 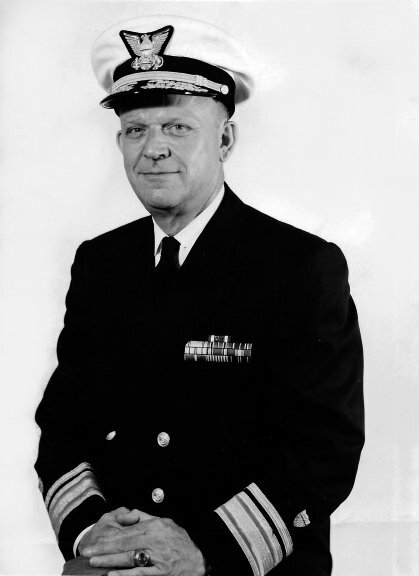 Sidney K. Broussard, USCG, survived the sinking of Hamilton, and was a plank owner, the 1st Executive Officer, and Merrill's 2nd Commanding Officer. 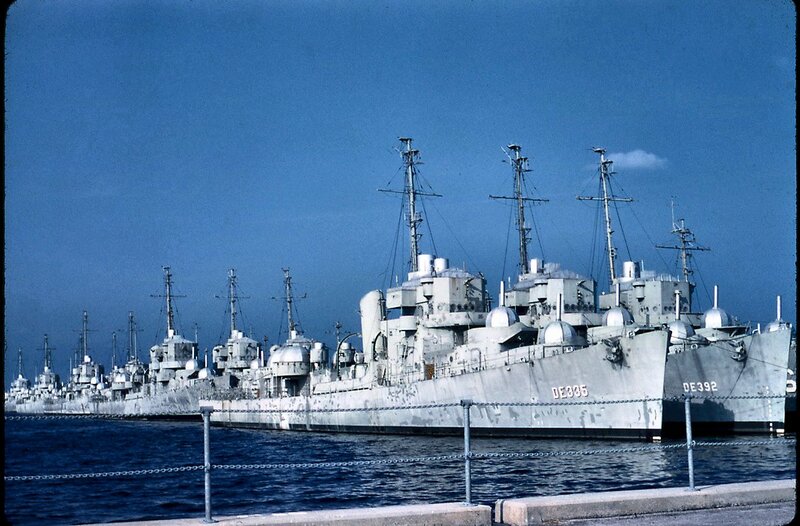 View the USS Merrill (DE 392) DANFS history entry located on the Naval History and Heritage Command web site.